Croston is a small village in West Lancashire, situated on the River Yarrow. 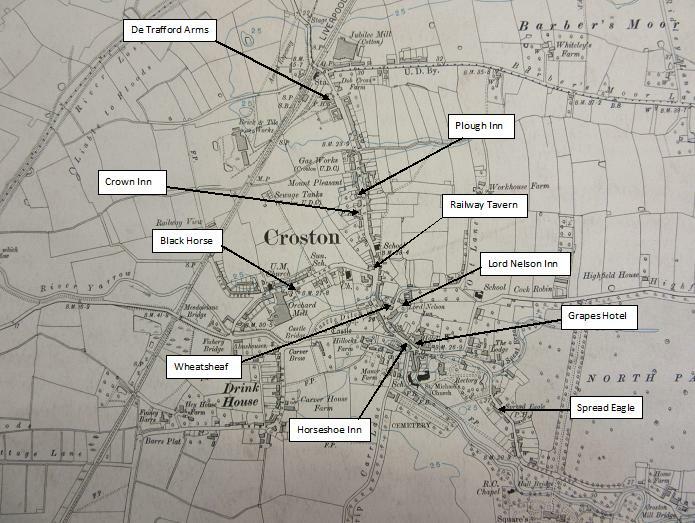 There are currently six pubs in and around the village including the Black Horse, Crown Hotel, Grapes, Lord Nelson and Wheatsheaf although at the turn of the 20th century there were ten pubs and probably a number of other beer houses. Those that have closed in the last 100 years include the De Trafford Arms on Station Road, the Horseshoe on Town Road, the Plough and Railway Tavern, both on Station Road (now houses) and the Spread Eagle on Grape Lane (now a house). 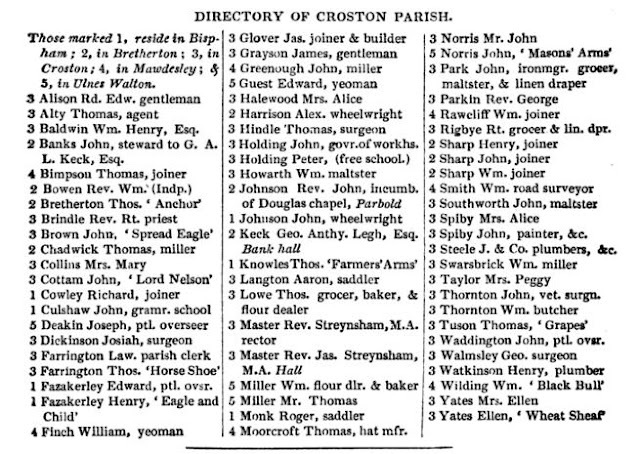 The directory lists the pubs open in 1824 as the Spread Eagle, Lord Nelson, Horseshoe, Grapes and the Wheat Sheaf.